In this classic Australian storybook, the jungle animals are having a ball down by the river. The ducks are splashing, the elephants are stomping, the monkeys are chitter-chattering, and the bears are dancing. All this commotion wakes up the crocodile who comes looking for his dinner. Luckily, the clever animals manage to outsmart him! 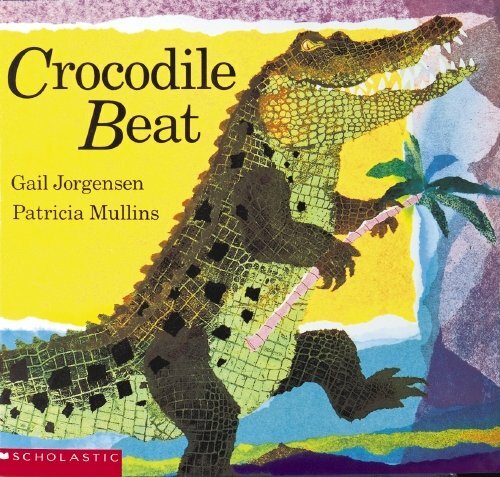 Crocodile Beat is great fun to read aloud. The rhythmic rhyming text and exciting story sequence entices young children to join in with the story. Children will love naming the animals and action verbs - especially if they get to join in on copying the animal sounds and movements or even acting out the sequence of the story. For further speech and language targets in Crocodile Beat, see the list below.